Dining out is a rare treat these days as many parents to young children will tell you. Our two and a half year old certainly doesn’t like us having a romantic meal together but as we have reached our 6th wedding anniversary we thought it would be a shame not to do something to celebrate our nuptials although it wasn’t as glamourous as being in Ibiza for a week which we did last year. 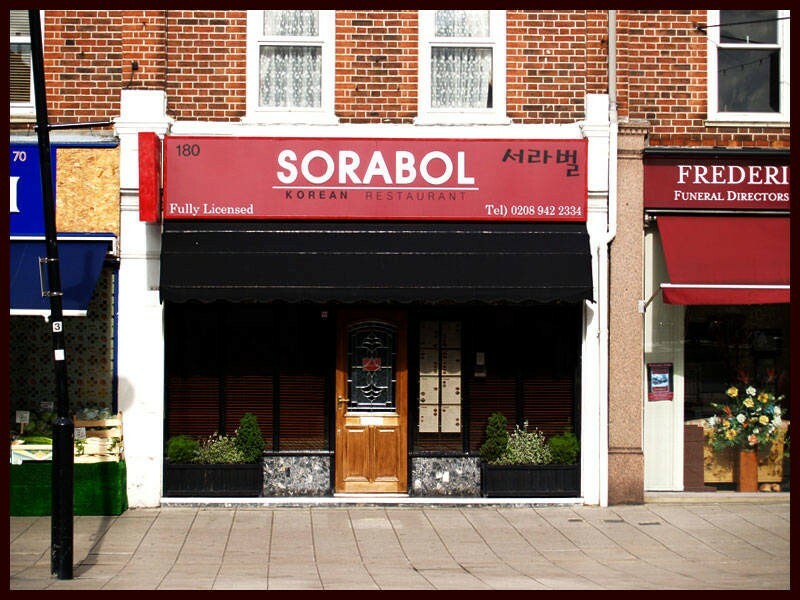 Anyway it’s a good thing we both do like our food and my husband decided to treat me to a meal at our favourite Korean restaurant Sorabol in New Malden, Surrey. With Master Jay placed in the loving hands of my in-laws we literally zoomed to the restaurant no hanging about. I had been eating light all day so I was quite ravenous when we got there. 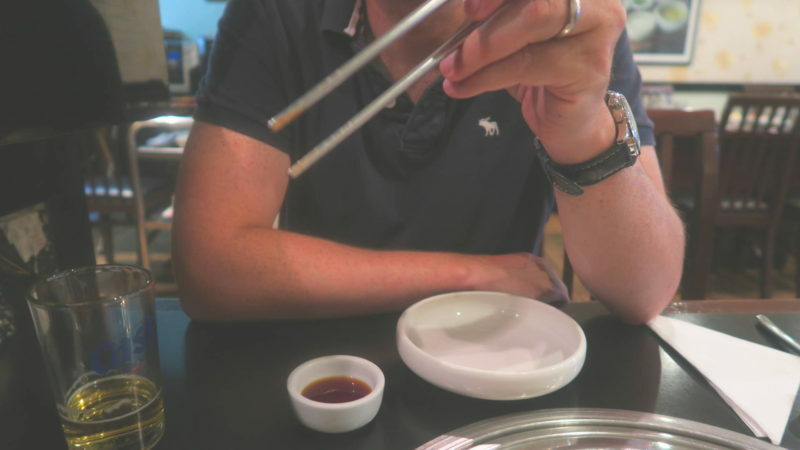 Now if you have never tried Korean food before please do as you will leave with full satisfied bellies I promise. Rather surprisingly, the south-west London suburb of New Malden is home to Europe’s most thriving Korean expatriate population. 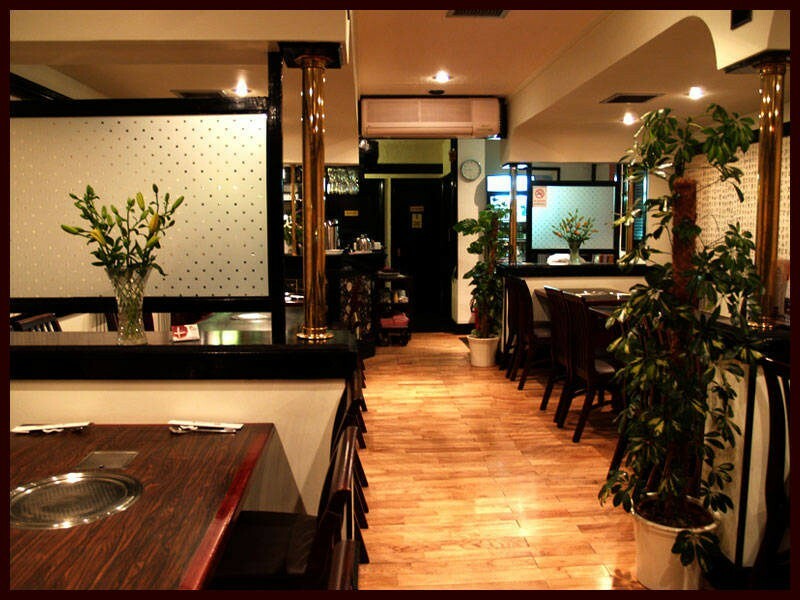 New Malden has Korean cafes and restaurants, a high-end karaoke bar and Churches throughout the neighbourhood regularly conduct Korean services. New Malden is proving an excellent model for North and South Koreans to live harmoniously but we are not here for a history lesson that was just for a bit of background. You know how people say that if the restaurant is full of locals that’s a good sign, well this restaurant was pretty full even at opening time 6.00 pm. We had a table for two and were handed the menus which took me a while to get through. 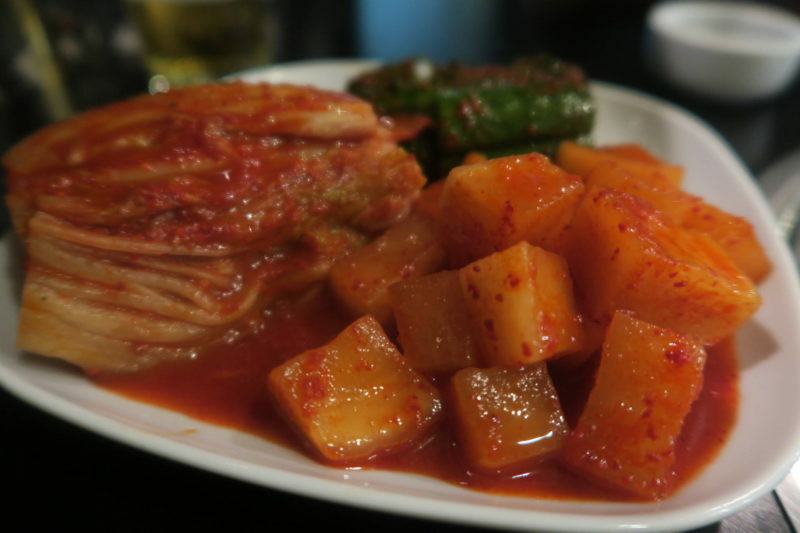 Kimchi and bulgogi are my firm favourites. I can’t really pronounce any other courses correctly on the menu other than these two. To kick off proceedings we started with some starters. Pickled cucumber seasoned in red chilli powder, pickled white radish seasoned in red chilli powder, and chinese cabbage pickled with you guessed it red chilli powder, salt and other spices. 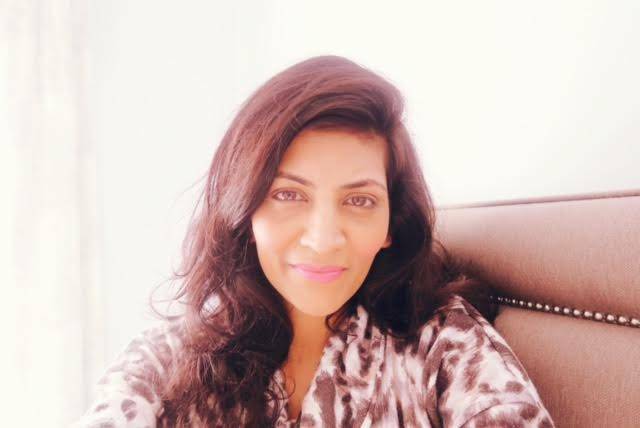 Despite my indian roots I’m not keen on hot spicy food which my family and husband find quite amusing. However I am able to enjoy this dish and it’s rather moreish. I’ve also read that Kimchi is one of the World’s healthiest foods as it’s packed with vitamins but I’m not convinced as there is still quite a bit of salt content in there. However as it’s a vegetable based dish there must be some benefits. 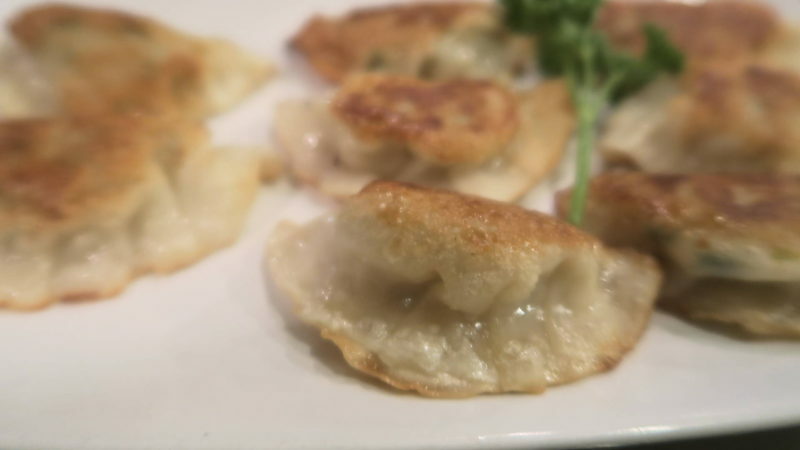 We also tried the handmade fried dumplings made with pork and spring onion which came with a light soy dipping sauce, these were so tasty and together with the kimchi complimented each other well. 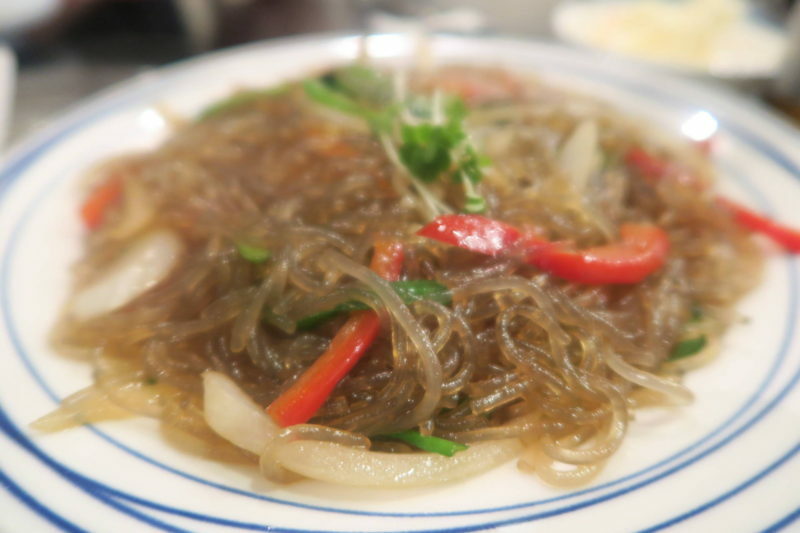 Thin noodles with vegetables which looked a bit scary to consume but were so tasty! In Asian cultures, noodles have always been a symbol of long life. Noodles are often served at major traditional and cultural celebrations as well as weddings and birthdays. They are also commonly served for breakfast because they are considered a healthy start to a long day. Let’s hope dinner noodles have the same power. 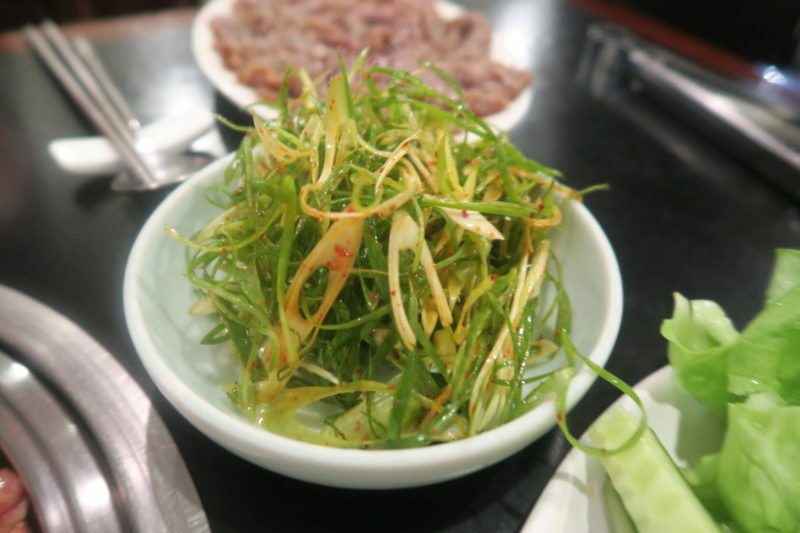 Sliced spring onion with chilli powder and vinegar. 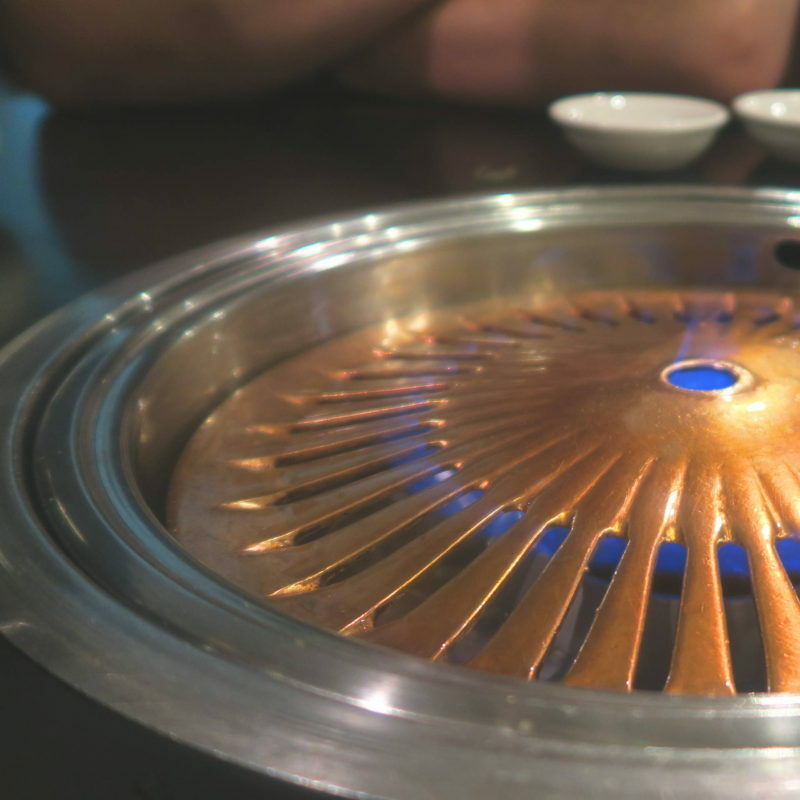 A key pillar of Korean cuisine is the traditional Korean barbecue. 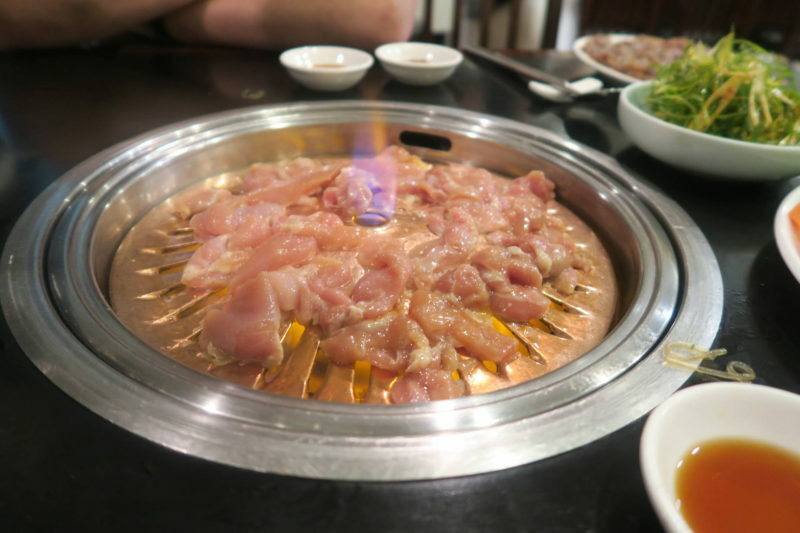 Food being cooked at the table definitely makes the dining experience much more interesting. 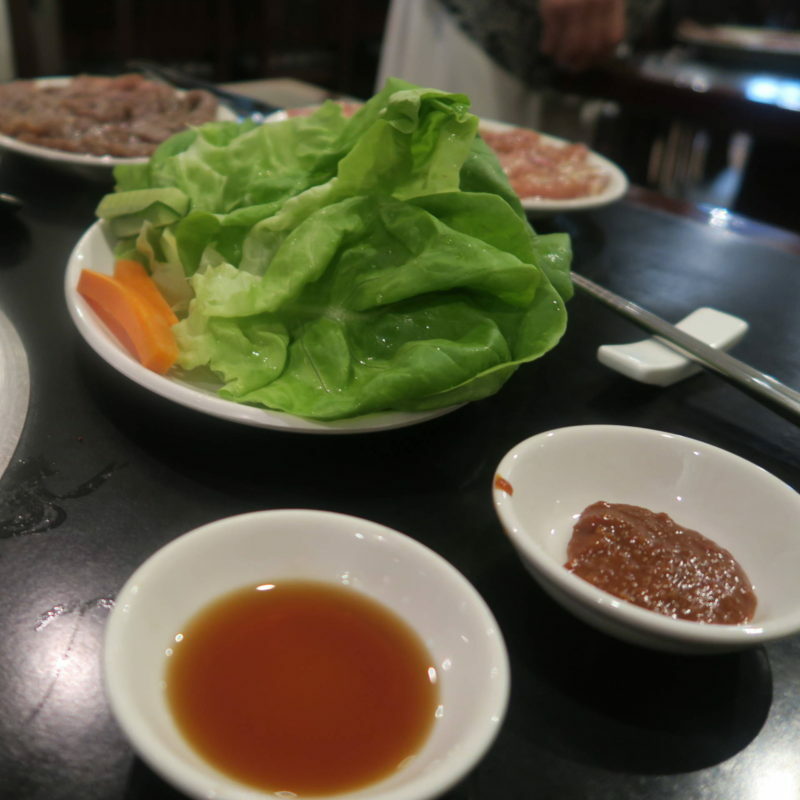 One of Korean’s most popular dishes tenderloin, marinated in sesame oil, soy sauce, spring onion, garlic and molasses. 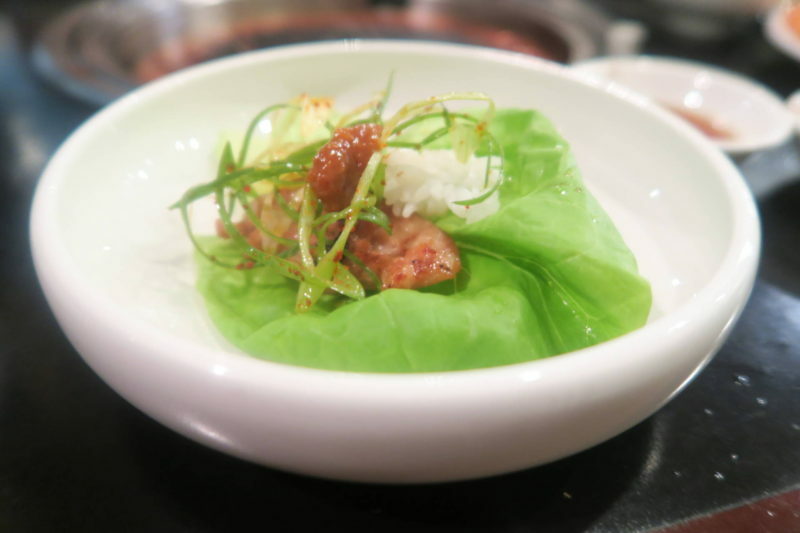 Specially marinated cuts of chicken which is then placed once cooked into the lettuce leaves, with the bean curd and spring onions and wrapped to create yummy parcels! 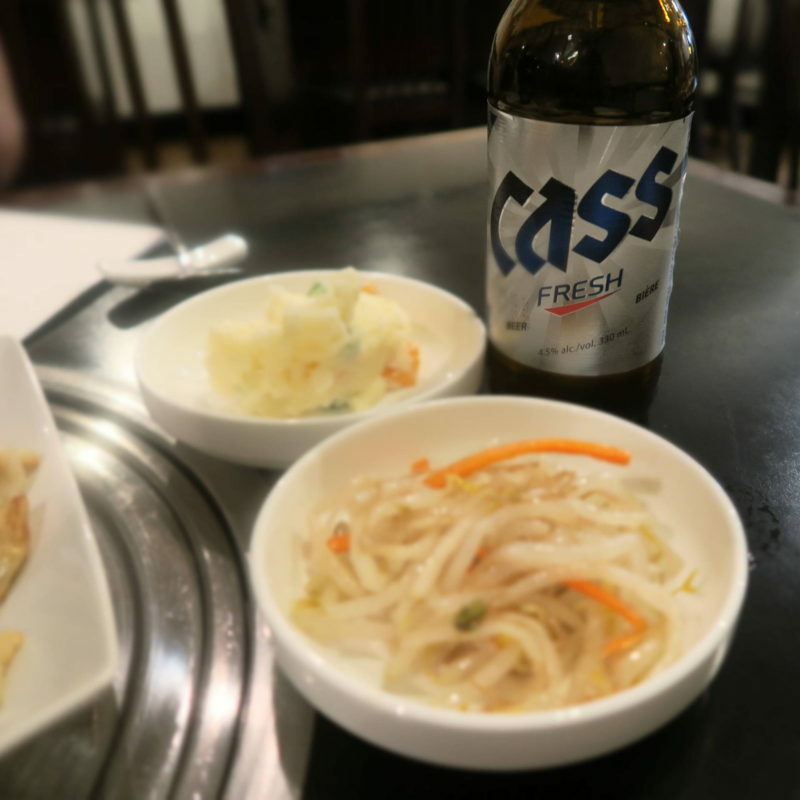 Whilst Mr M went for Cass which is in the top three most popular beers in Korea. 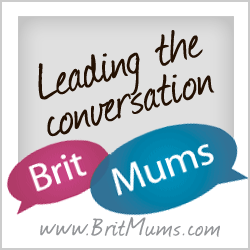 I went for something I had never tried before…. 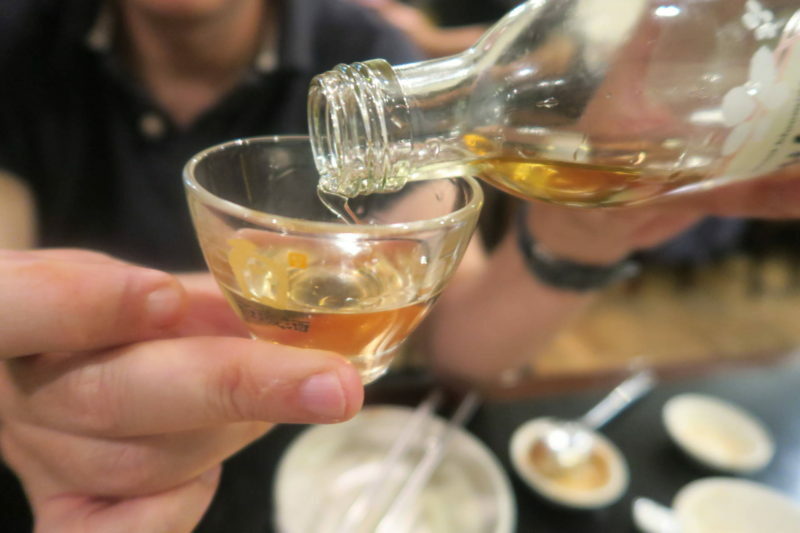 Korean plum wine is made from green maesil plums picked in Gwangyang and Suncheon I had to google it to see what they were. Typically served chilled as an aperitif, this plum wine is sweet, tart and refreshing and is pale yellow in colour. I wasn’t sure I would like this to begin with but yet again it grew on me. May be because I had quite a few glasses. To be fair the glass was small. 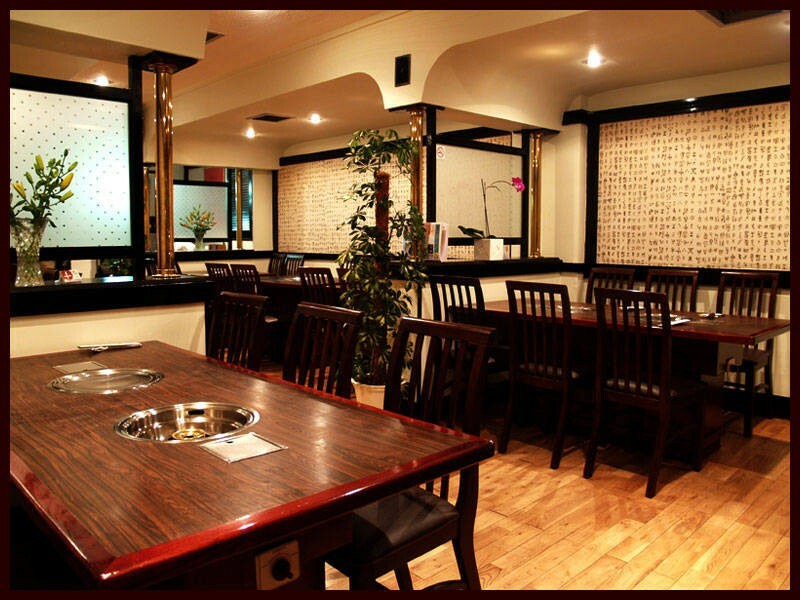 The friendly service made this a pleasurable dining experience full of flavour and we didn’t have to wait long for the food. 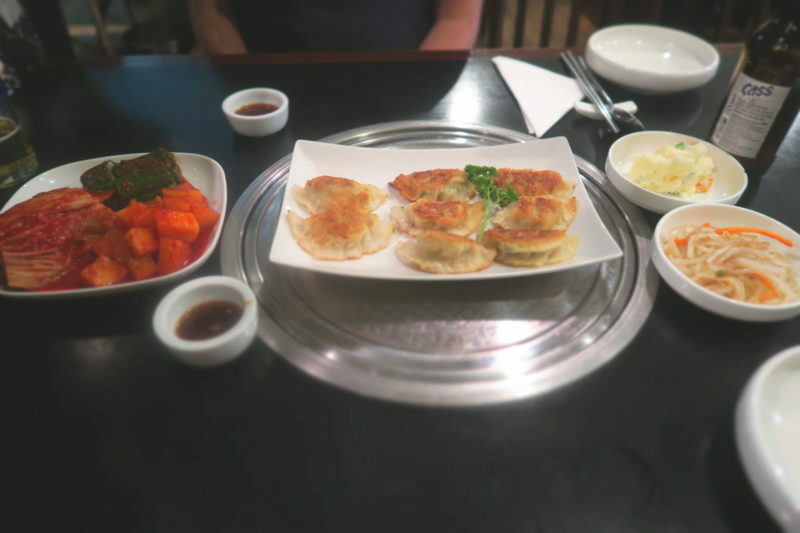 The cost of the meal came to approximately £70 including a tip so perhaps this isn’t your cheap and cheerful meal out but as I said every now and then a treat is good for your SEOUL soul.